Keyflow was born to create a better horse feed. We use and embrace the latest feed technologies, and use the best ingredients available. We teamed with some of the world’s most respected Equine Nutritionists, who are at the forefront of research into what a horse needs nutritionally to be healthy and happy, grow optimally, behave sensibly and perform outstandingly. 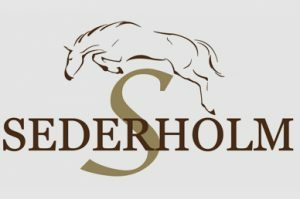 Sederholm have been supplying the highest quality equestrian products and fitting saddles to riders and horses from novice to Olympic standard for over twenty years. Proud to be one of the longest serving agents for the french based Butet Saddlers, owner Annika Sederholm has been closely invoved with the development of saddles directly with the factory. They also stock an extensive range of products from Belgian saddlers Dy’on. Kentucky Horsewear was established back in August 2010, yet it is rapidly becoming the ‘must have’ brand, for protective horse boots across all disciplines. The brand specialises in exceptional horse leg protection and in time, aims to become the benchmark to which other brands aspire. Created to serve the market of riding enthusiasts, freejumpsystem is today a benchmark in terms of innovation and high-tech products designed for the performance, comfort and safety of both riders and horses. First released in 2004, the unique freejump single-branch stirrup with automatic release combines technology with innovation to offer simply the best stirrups on the market and the only ones to provide a perfect balance, great comfort of use and safety by way of the flexible outer branch. 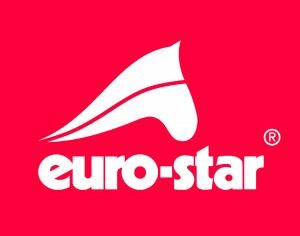 Euro-star was established in 1959 and the popular equestrian clothing brand still reflects all the characteristics of its founder Hans Gotzens. The principle of euro-star creations has always been to blend horse and rider into a perfect team through coordinating outfits. Euro-star work very closely with their VIP riders to produce technically advanced clothing that is suited to all day riding but that also looks great off the horse. With over 50 styles to choose from SSG gloves can offer a quality solution to every type of equestrian need – from eventing, jumpers, dressage, hunters, polo, carriage driving, racing to fox hunting. With both warm and cold weather styles that size from child’s to adult, it is the most complete line on the market today.